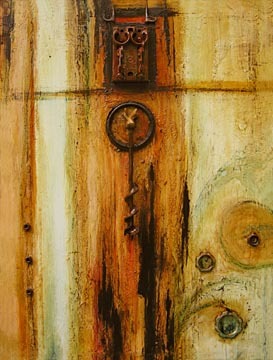 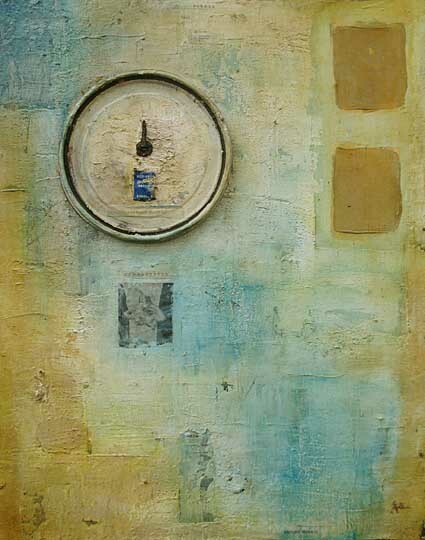 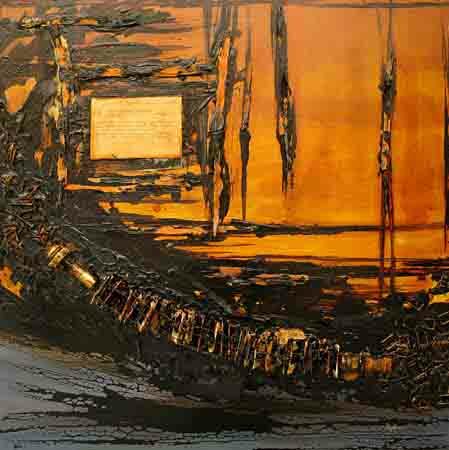 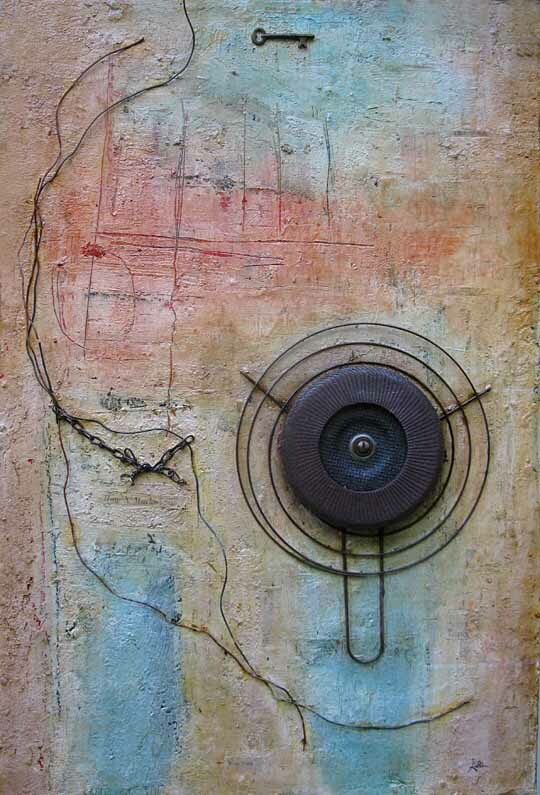 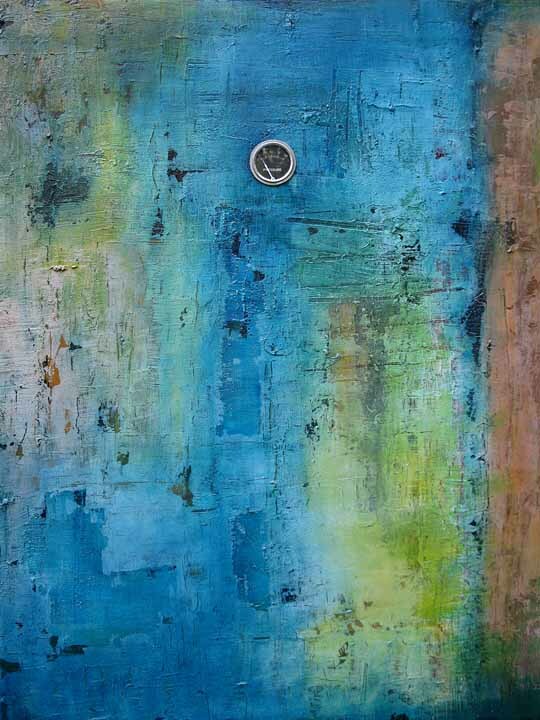 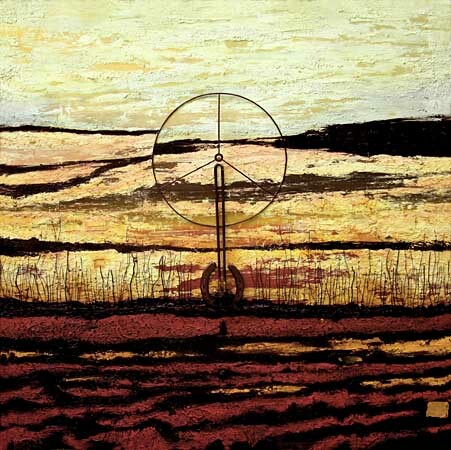 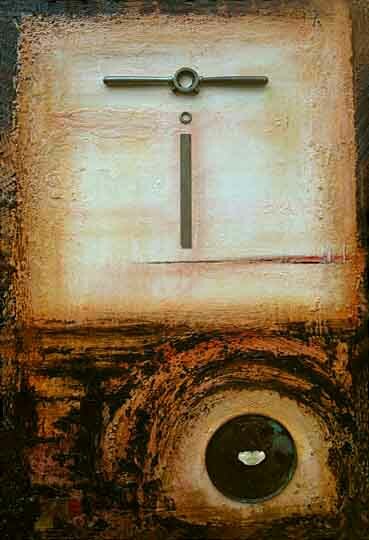 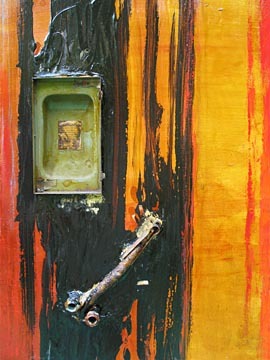 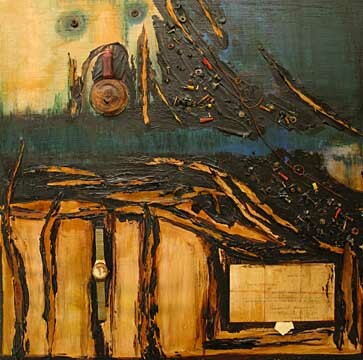 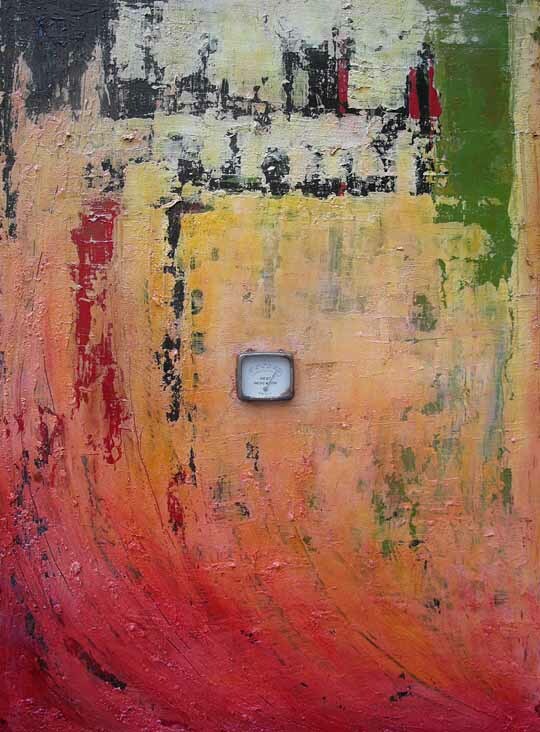 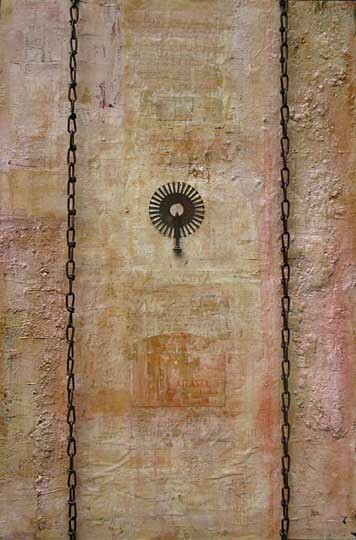 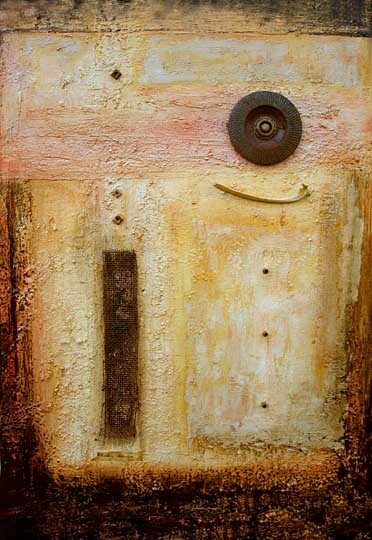 Gallery of Dave Goldman abstract mixed-media painting. 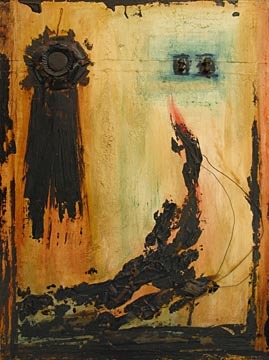 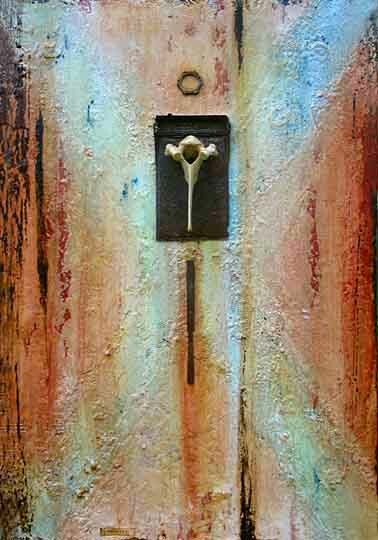 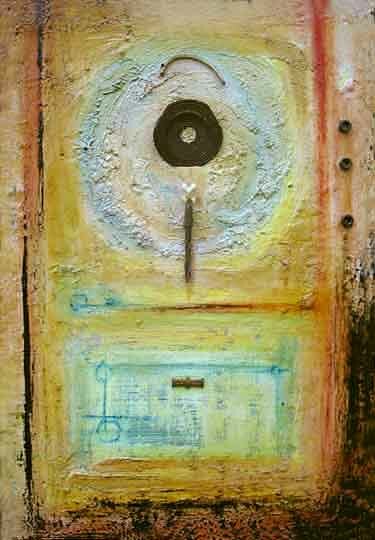 I construct these abstract mixed media paintings out of metal, wood, fiber, tar, plaster, acrylic, oil and whatnot. 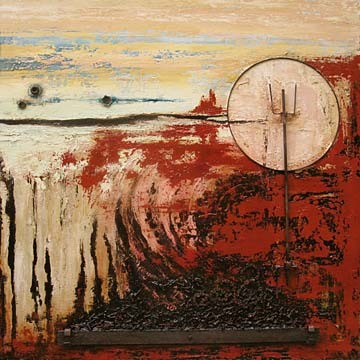 This is personal, introspective work rich in symbolism. 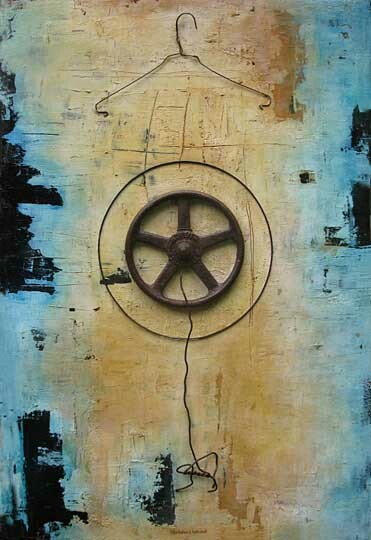 Please recycle your old metal junk; Biltmore Iron and Metal is a great place to do it in Asheville and it's where I hunt and gather some of my materials for my paintings. 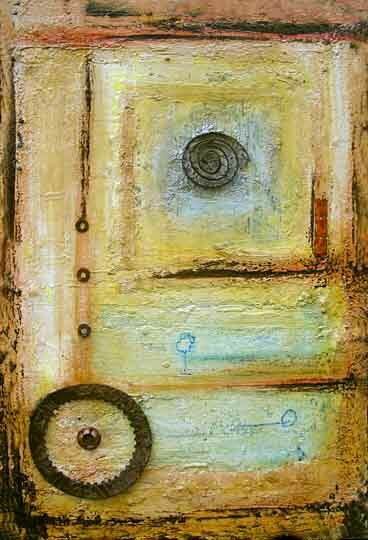 Original abstract mixed-media painting from Asheville/Mills River North Carolina artist.